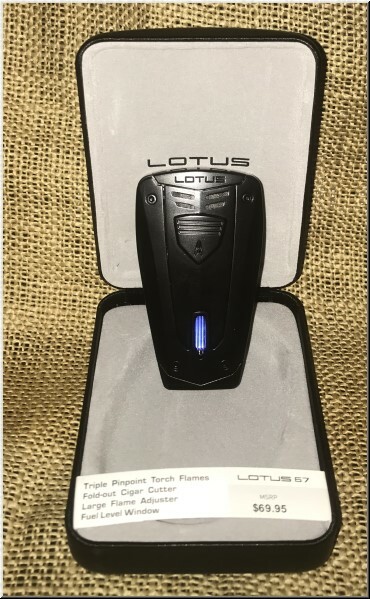 Lotus lighters feature the premiere styling and state-of-the-art innovations that consumers and retailers expect from their smoking accessories. These extraordinary designs combined with an uncompromising attention to detail and superior quality components set them apart from any other lighters in the marketplace. Triple pinpoint torch flames, single action ignition, foldout cigar punch, large flame adjuster, colored fuel window, all metal housing.